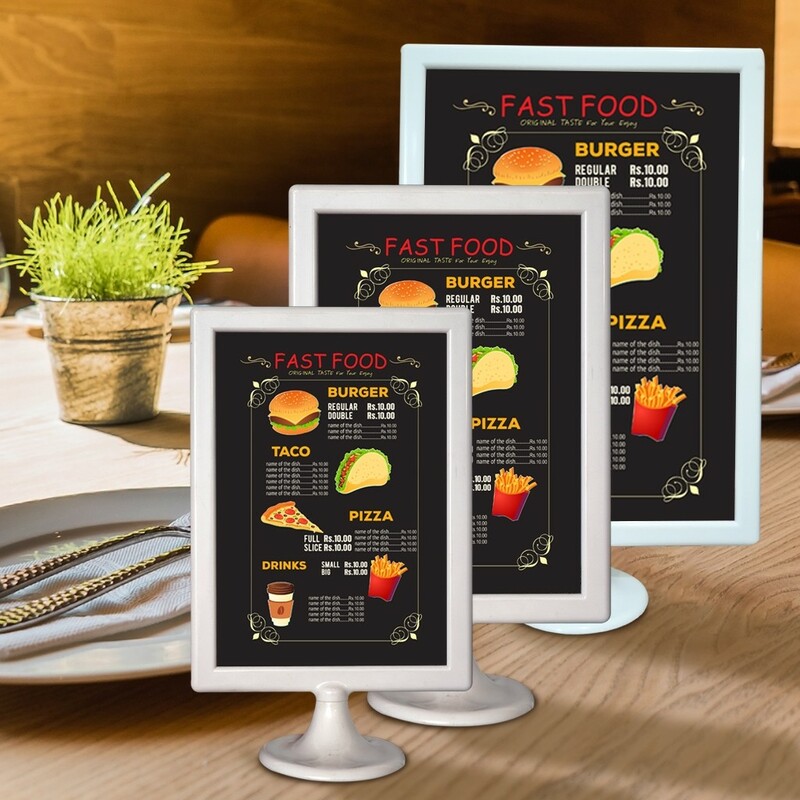 The white framed desktop communicators are great for your restaurant or retail shelf space. 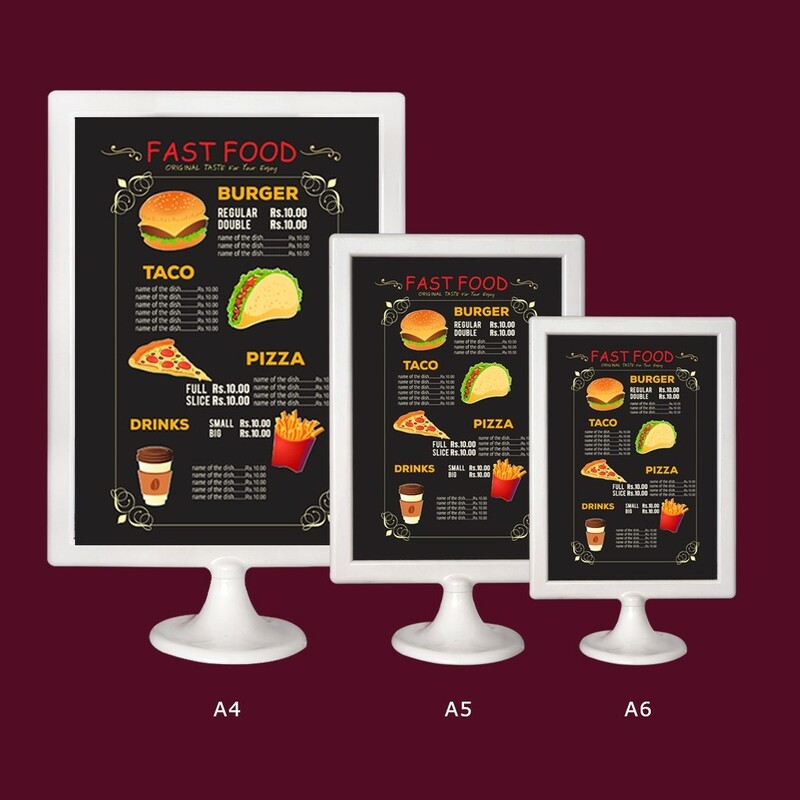 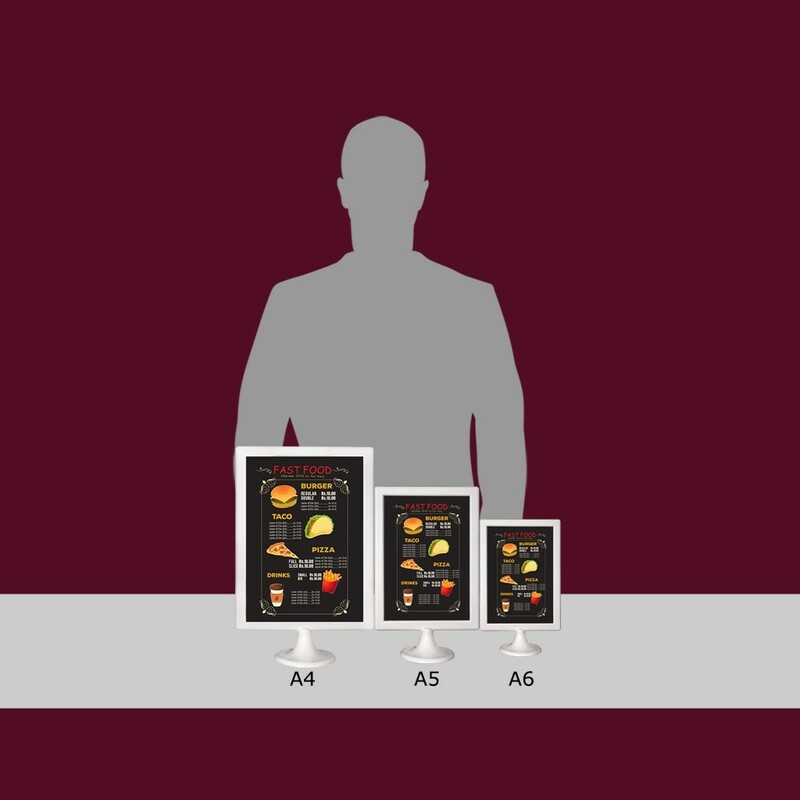 They can carry menus, promotions or technical specifications of the product they are kept next to. 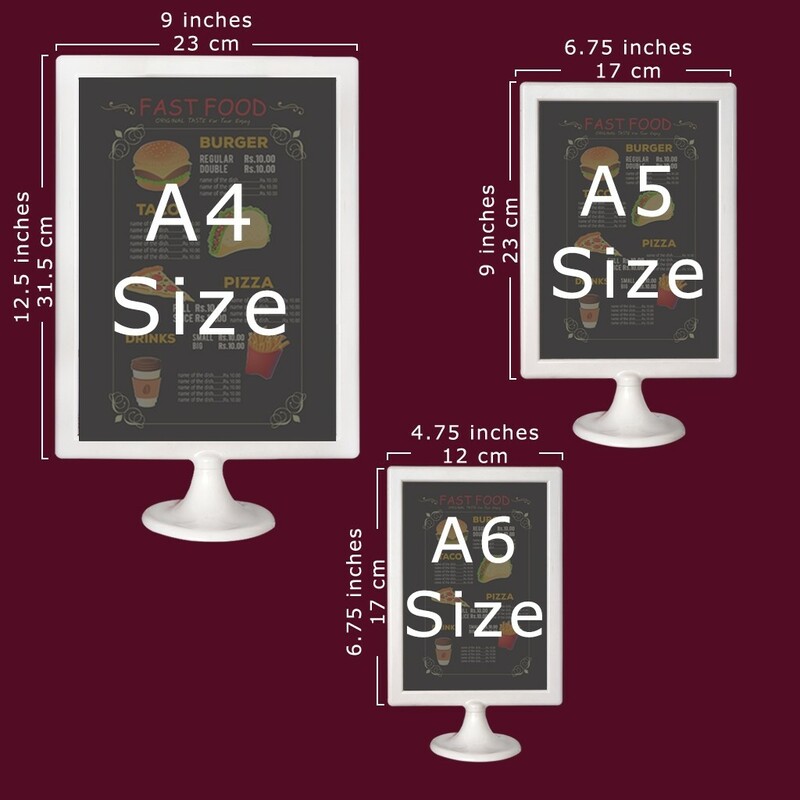 includes a changeable A6, A5, or A4 double sided print slipped into it.